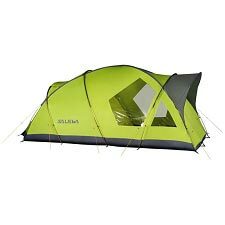 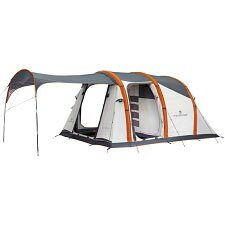 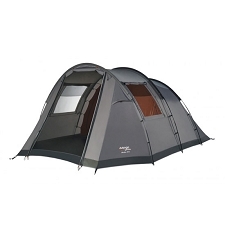 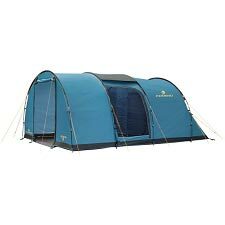 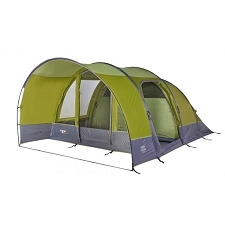 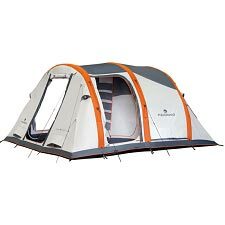 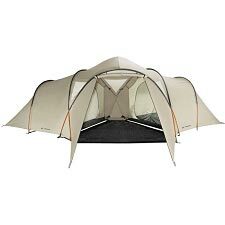 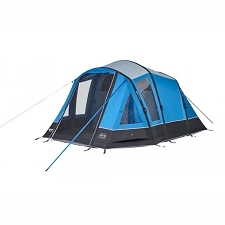 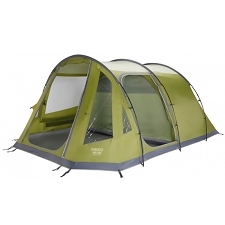 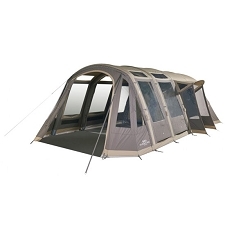 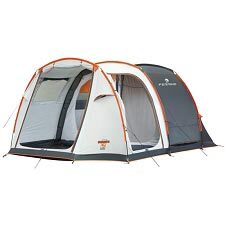 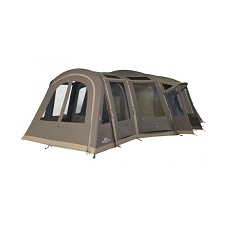 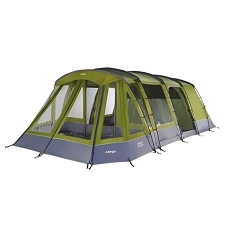 5/6-person tent with additional floor sewn along the whole perimeter of the fly-sheet to guarantee maximum comfort and protection. 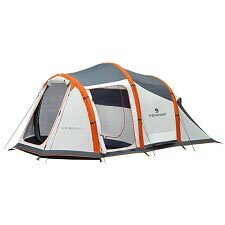 The Proxes 6 tent, by Ferrino, has a Diamond Polyester fly-sheet with thermal-insulated, aluminised polyuretane, while the inner tent is made of breathable polyester with water-repellent treatment. 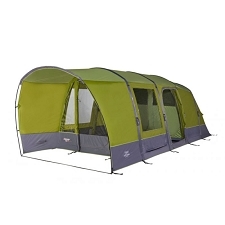 If we add to this a double floor made of waterproof polyethylene, the result is a highly insulated tent offering maximum protection against the elements. 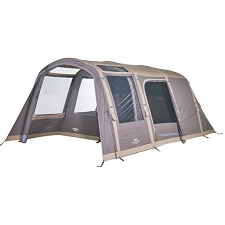 3 fiberglass poles, external poles and steel pegs are highly durable and user-friendly and the generous front vestibule is perfect for storing your gear. 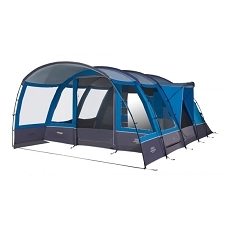 Other features include ventilation sleeves and windows ensure optimum air-flow to prevent over-heating and moisture build-up. 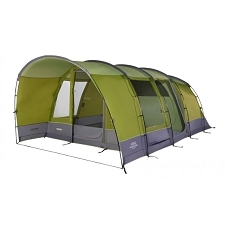 A functional, lightweight and durable tent for the whole family and for all your outdoor adventures. 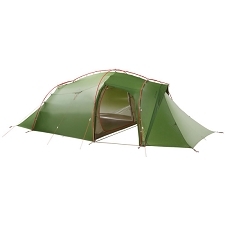 Fly-sheet: 190T Diamond Polyester, 75 g/m2, coated with thermal-insulated, aluminised polyuretane, waterproof to 2000 mm. 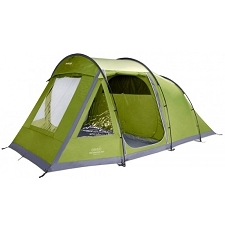 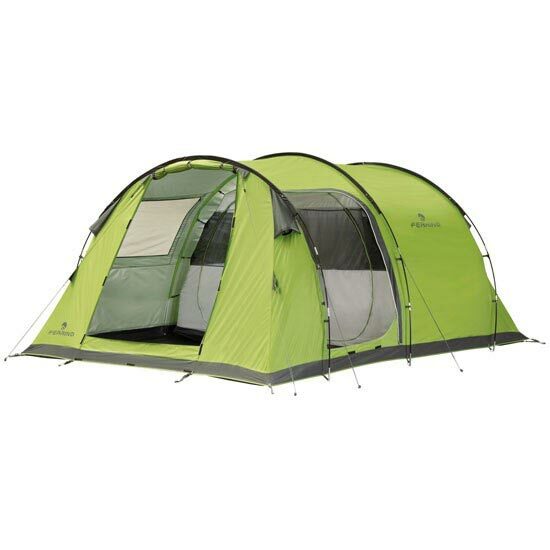 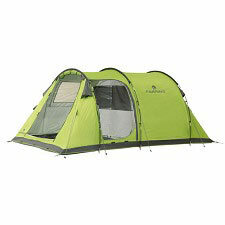 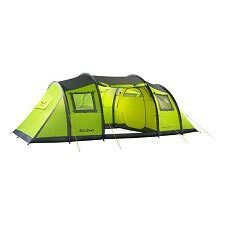 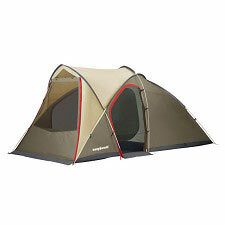 Inner tent: Polyester, with breathable water-repellent treatment. 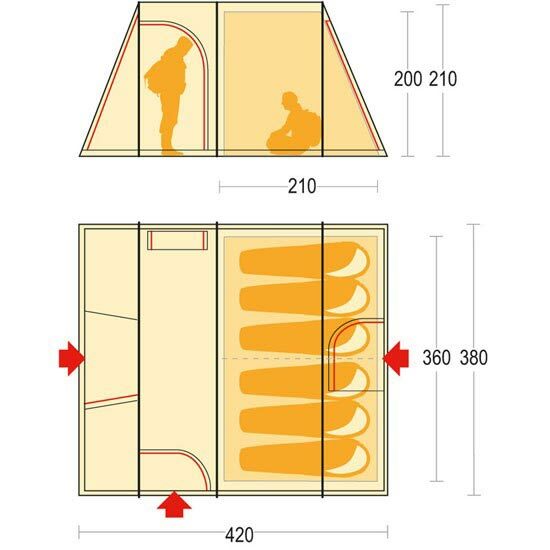 Floor: 210T Polyester, 80 g/m2, waterproof to 2500 mm. 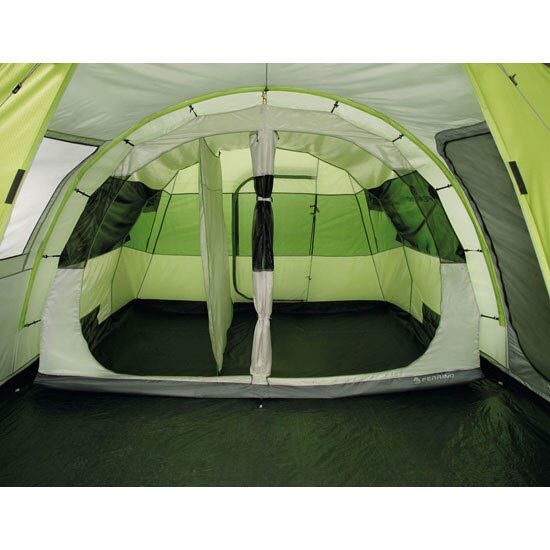 Fly-sheet floor in waterproof polyethylene. 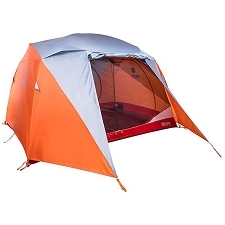 Taped seams on fly-sheet and inner tent floor. 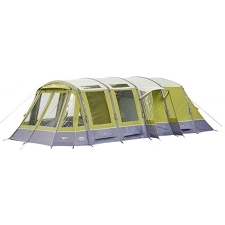 3 shock-corded poles in fibreglass.